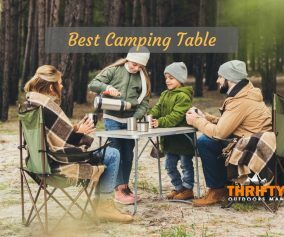 Camping and kids are meant to go together, but when you have picky eaters and the lack of a well supplied kitchen, mealtime suddenly becomes much harder. 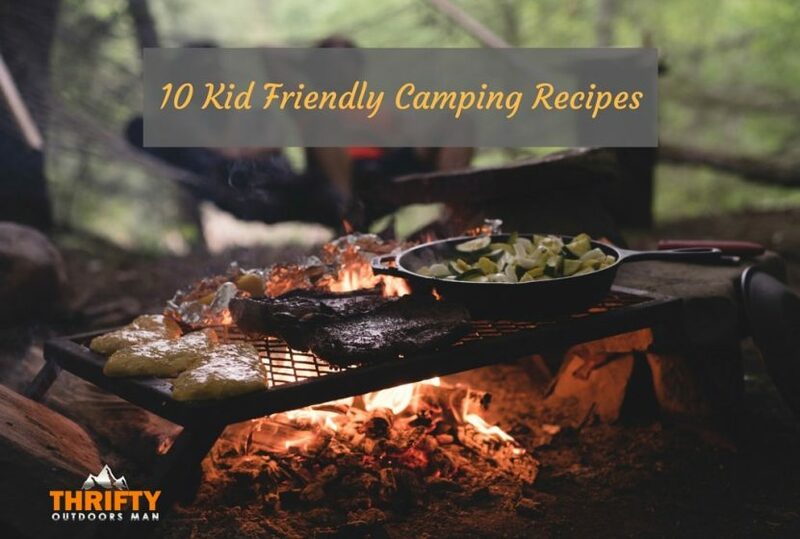 Fortunately, there are time-honored recipes that many parents and camp masters have used to satiate hungry little campers and transform them into happy campers. Carbohydrates are important when you’re hiking and doing things outdoors. 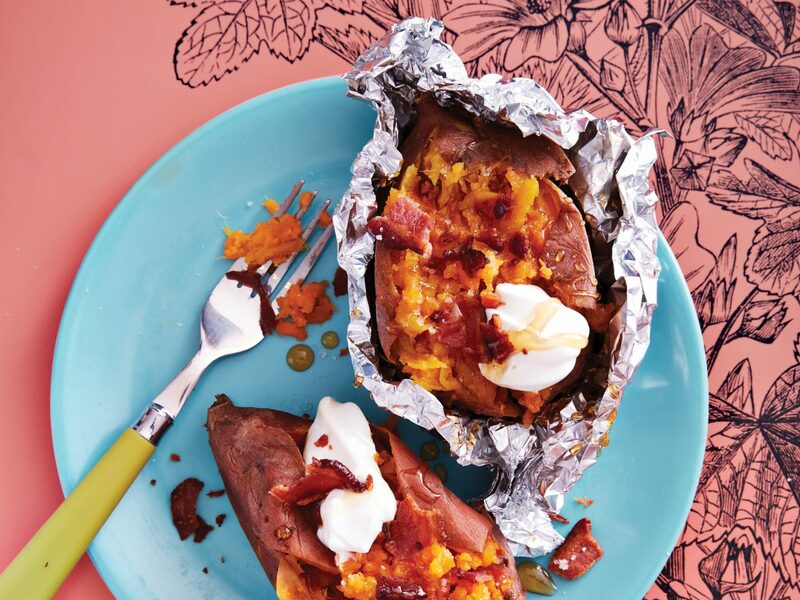 This recipe for Maple-Bacon Sweet Potatoes can be eaten by itself or paired with another item on this list for an excellent pick-me-up. Sweet potatoes grill up nicely, and when they come stuffed with sour cream, bacon, and maple syrup, you stumble into the realm of perfection. Kids want something sweet? 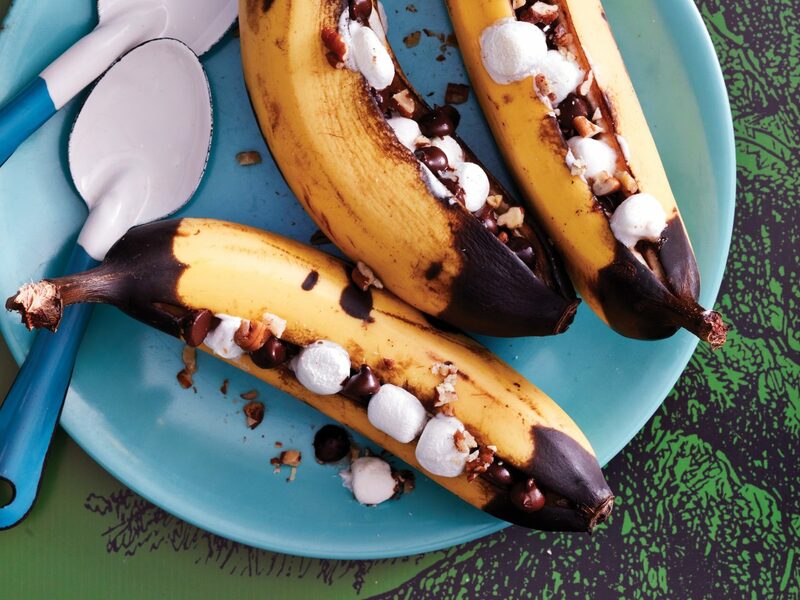 Campfire bananas are a fun and easy to make treat everyone can long. All you need is tinfoil, a fire, some bananas, mini marshmallows, chocolate chips, and, if desired, chopped nuts. Of course, you’re not limited to these ingredients. Anything that will melt and blend with gooey banana is going to be winning addition. 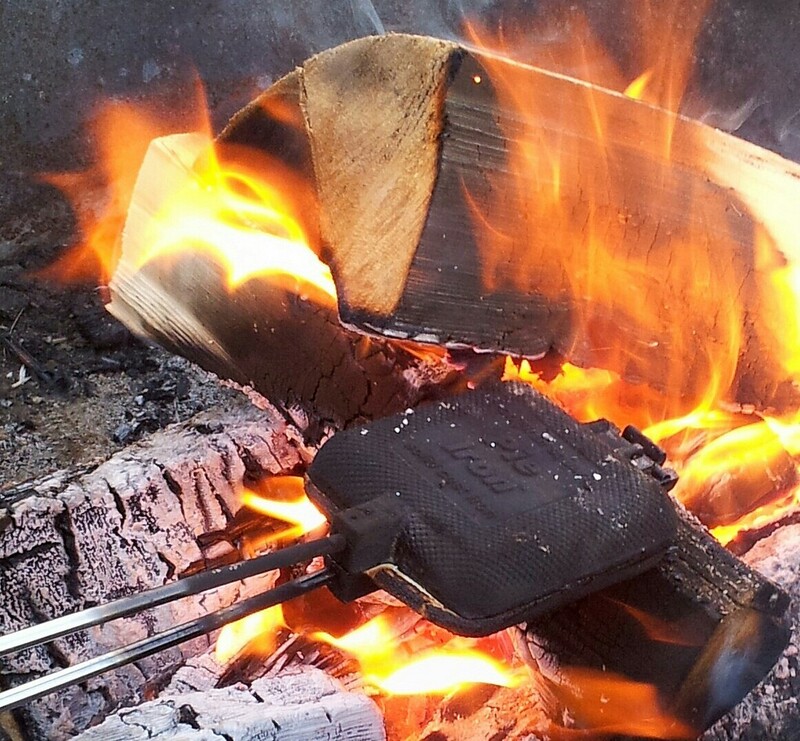 You might have heard of this camping food hack before. If you haven’t tried it yet, do it. You and the kids will fall in love. 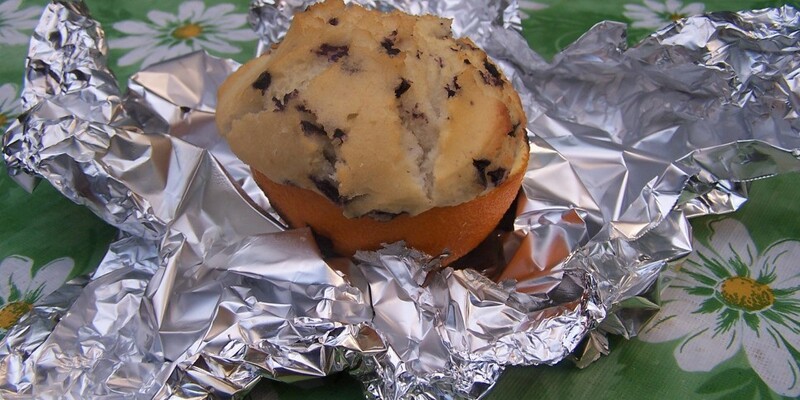 All you need as a box of muffin mix, any flavor, and some hollowed out halved orange peels. From there, follow the instructions of this handy recipe to reward yourself with moist muffins for breakfast or dessert. By the way, this works with cake batter too! Here is a crazy addition to your campfire food repertoire that will both amaze and bring smiles to the faces of hungry campers. 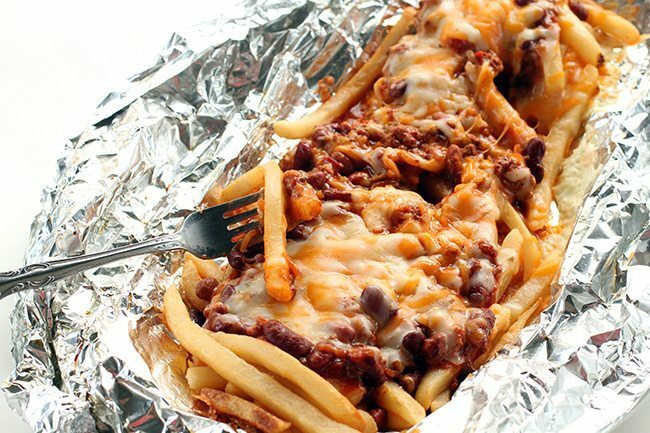 Chili cheese fries made on a barbecue with tinfoil might seem impossible, but trust us, it’s possible. And it’s delicious. All you need are some precooked frozen fries, pizza cheese, homemade chili, and some heat! Check out the full recipe by the Kitchen Magpie for more instructions. Though you can pack any sandwich how you please when using a campfire pie iron, one of the best would be the “hobo pie.” This version made by the Pocket Change Gourmet features white bread, precooked sausage, cheese, eggs, and spreadable butter. Tasty any time of the day! 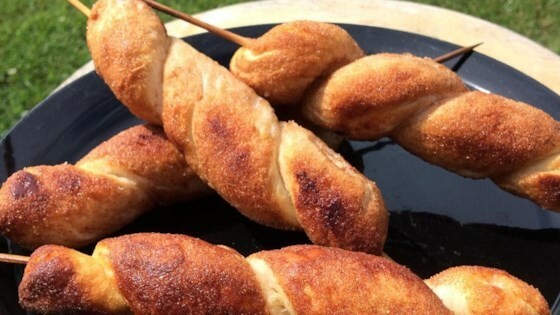 Campfire bread with a twist! Brown bears are a traditional snack that use refrigerated biscuit dough wrapped around a twig in a spiral, slathered with cinnamon sugar, and held over a fire until golden brown. Super fun to make and eat, without any mess. What more could you ask for? 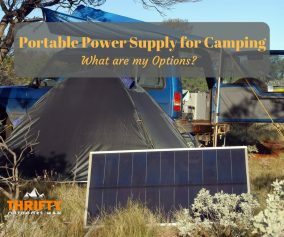 Not everyone is going to want to bring a skillet to the campgrounds, but if you have that luxury, then forget the baggies of cereal. 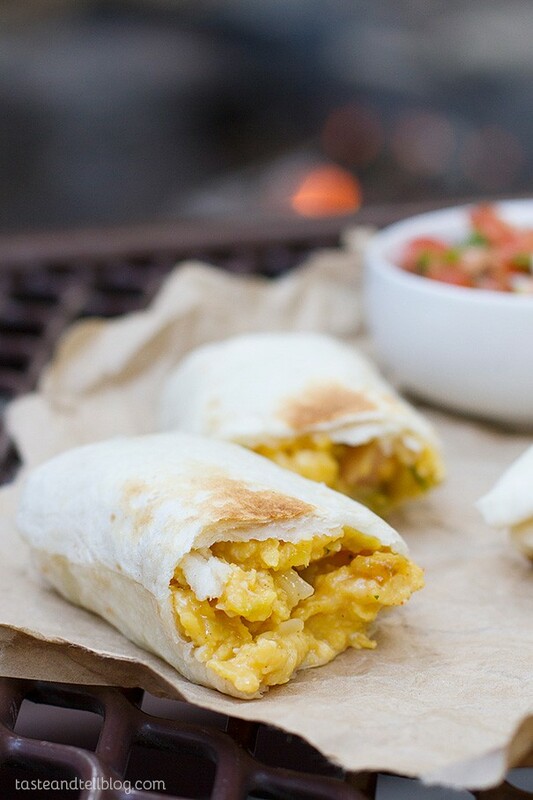 Campfire style breakfast burritos packed with fresh veggies are the way to go! 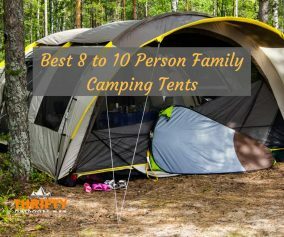 Kids will love the portability, and you will have fun making these over a campfire or grill. Though it takes a little pre-planning, campfire mac and cheese is a definite must for your next outdoor adventure. Follow the recipe created by Lauren's Latest for the ultimate comfort food. 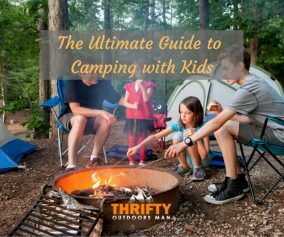 After all, no kid is going to say no to perfectly cooked macaroni and gooey cheese while sitting around a campfire. After a long day of hiking, you’re going to want something a bit more hearty than a sandwich. Italian Chicken and Vegetables in foil recipe by Diethood is an easy way to get some rejuvenating protein and nutrients. Plus, you don’t need a lot of ingredients--chicken, Italian dressing, and chopped peppers and onions wrapped in foil and set on a grill. Note: While the recipe calls for an oven, simply bring the fire temperature up to 375 degrees Fahrenheit for the same effect. 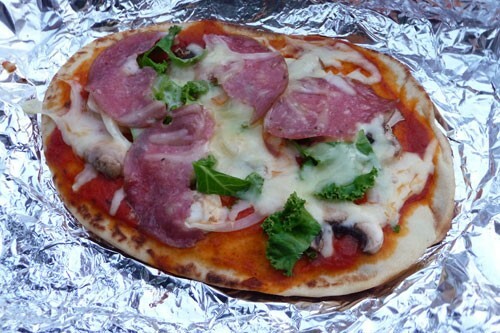 This flatbread pizza recipe by the Dirty Gourmet should become a staple in campfire meals, because not only does it require little preparation, but you can come up with hundreds of topping possibilities for your flatbread pizza. As long as you have your flatbread, sauce, cheese, veggie or meat toppings, you are ready to go. 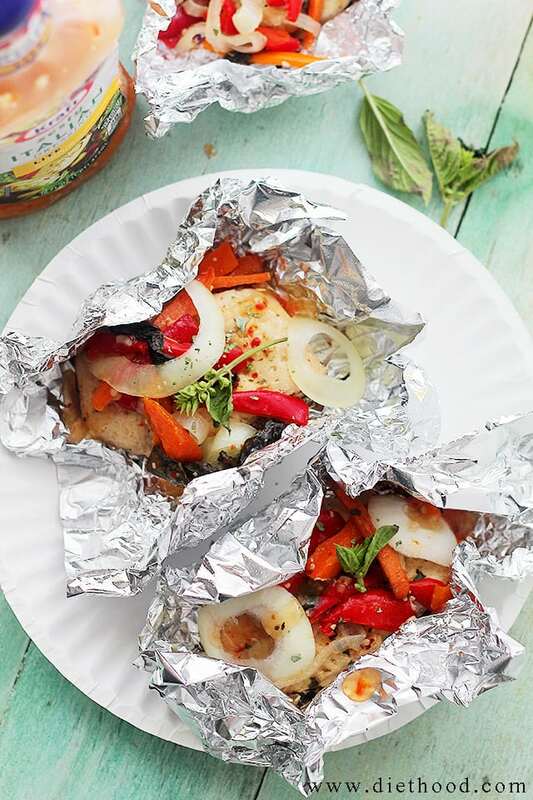 Simply wrap in foil, drop on the grill, and wait in immense anticipation. These 10 recipes have been satisfying rumbling stomachs--and will hopefully put a smile on your kid’s face too.